After playing another three figures knock in the third ODI of the five-match ODI series against Windies at Maharashtra Cricket Association Stadium (Pune), Indian skipper Virat Kohli becomes the first Indian batsman and first ever captain to score three consecutive ODI centuries. Indian skipper Virat Kohli has continued his brilliant batting form in the Pune ODI on Saturday night. Chasing down the 284 runs target, Kohli was the only Indian batsman to play a solid innings. 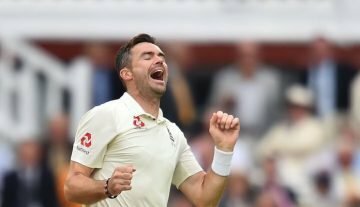 The 29-year-old right-handed batsman played another brilliant innings as this time he scored 107 runs off 119 balls with the 10 fours and only six. In this hard chasing, Kohli batted brilliantly while wickets were falling from the other side in regular intervals. Kohli completed his half-century in 63 balls and then he completed his 38th ODI century and the 62nd international century in 110 balls. It was his third consecutive centuries in last three ODI matches. 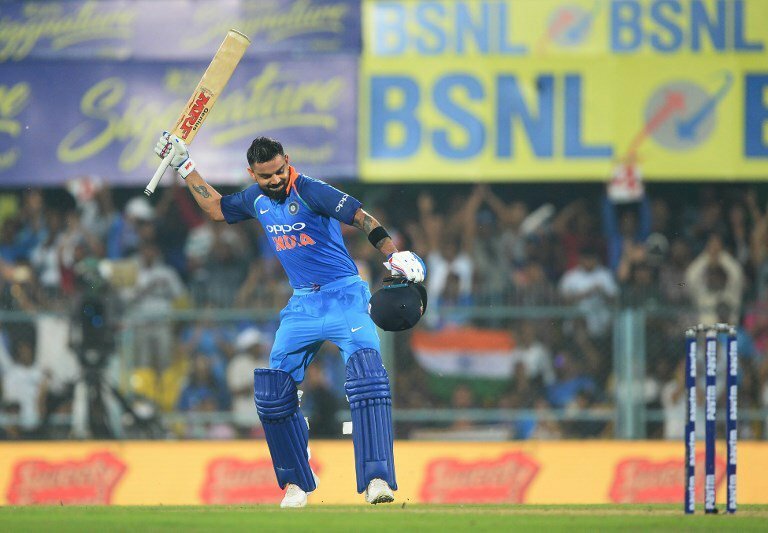 After scoring 140 and 157* in the first two ODIs of this series, where Kohli also won the Player of the Match awards in both games, he scored another ODI century in this Pune ODI. With this century knock, Kohli becomes the first Indian batsman, fifth Asian batsman and 10th overall batsman to score centuries in three or more consecutive ODI innings. Only, the former Sri Lankan wicketkeeper-batsman Kumar Sangakkara hit four consecutive ODI centuries. Also, Kohli is the first ever captain to play three consecutive ODI century knocks. In addition, Kohli has played four consecutive 50+ knocks in his last four ODI matches. Also, Kohli has hit four ODI centuries in his last four ODI matches at home. Coming to this game, Kohli was bowled out by Windies spinner Marlon Samuels on 107 runs. His century went in vain at the end as India was bundled out for 240 runs (47.4 overs) and Windies won by 43 runs to level the five-match ODI series by 1-1 at the end of the third ODI. Reporter – Sir aap back to back centuries kese mar lete ho?